It seems like fate that I’m at U now of all times. It’s the time of year when freshers are just starting their journeys to Colleges all around the country, including some of my old Year 6 pupils. The other day I drove past Royal Holloway and all the signs were up for ‘student arrivals’. There were car loads of young people all arriving for their first taste of life away from their parents and it really made me nostalgic. Thus, what better time to have arrived at this point in the alphabet. I had a great time looking around all these places for the open days. It was like my first taste of adventure, travelling around the country on my own. I even got to spend a couple of nights in halls at Trinity in Oxford for the interview process. The furthest I went was Dundee, which was a long train ride. I stayed in a little B&B overnight and went out for some Scotch before bed like a proper adult. My favourite place of all was Cardiff, and it was there that I decided to go. This was my first port of call. University Hall, with its tower block. I was in one of the rooms that was ‘scheduled for renovation’ which meant I had weird plug sockets that wouldn’t take normal plugs. It also had an awful bed with a hundred year old mattress. The first morning I woke up, I discovered a jagged spring sticking up through the sheet, inches from me. It was near the bar, however, which was a bonus. I spent the first few weeks getting used to spending inordinate amounts of money on books. I still have my Norton Anthology of Poetry on the shelf at home. These were mostly purchased from Blackwell’s at the Union. Halls were great for a first year as there were loads of people around. It took me a while to fit into a group and for the most part I was on my own. Once I found some like-minded people, however, I didn’t look back. Having said that, most of the people I hung around with were Business students who didn’t take kindly to me sitting next to them in the library reading Winnie The Pooh for my Children’s Literature unit while they waded through some huge textbook. I look back at myself in that first year and there are some things that I would change. 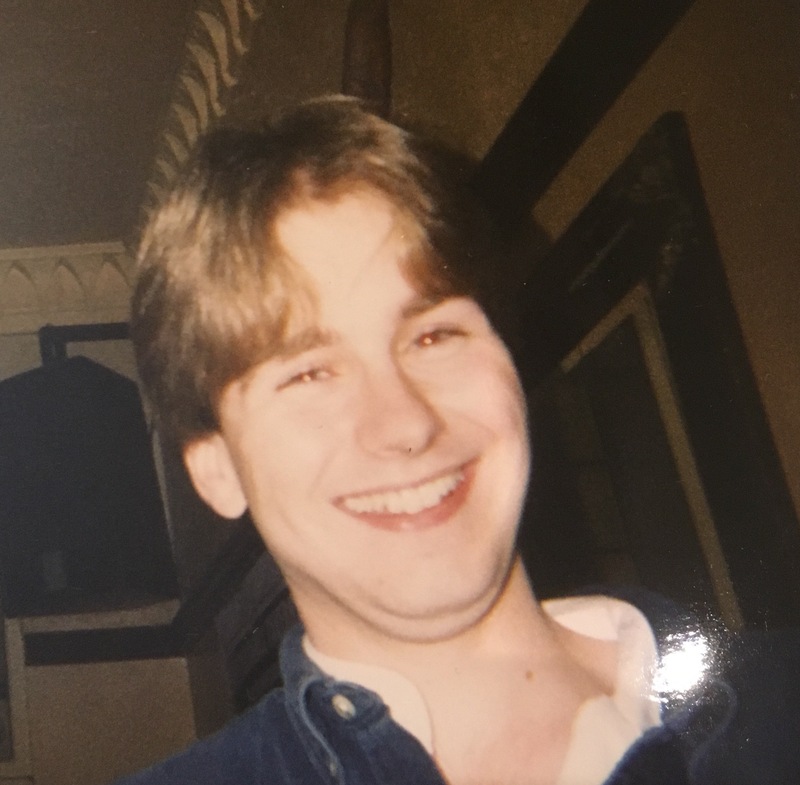 I think I was trying very hard to prove myself and that may have come across to people as cockiness and arrogance which isn’t like me at all. I guess lots of people behave that way, though. BA English Literature involved 6 hours of lectures and seminars per week. The rest of the time was mine to study. I didn’t do much studying, I have to say. This world of independence was far too tempting and I did the minimum possible to get by. If there were six books on the course, I would pick the two most interesting ones, the minimum you could get away with writing an essay on, and read those. I look back with my grown up head and think that if I were to go again, I would treat every day like a job. I would do a 9-5 every day, spending the time in the library when I wasn’t in lectures. That way I would have every evening and every weekend off. Of course, that didn’t happen. Instead, I fell into a pattern of long lunchtimes and watching Neighbours at 12:30 and then at 5:35 as well. That’s not to say I didn’t learn anything. I just think I would have taken a year out first if I’d known what it was going to be like. Having that experience of the employment market gives you a new perspective on what a great opportunity it is to go to University. The older I get, the more I think I would enjoy the chance to undertake that kind of study again, giving it the attention it deserves. I had lots of fun, though, and I guess the lessons I learned are what helped to make me who I am today. Part of going to University is a soft, controlled way of learning how to be an adult, living on your own in an adult world. You can’t be expected to go into it knowing everything. Who I am today is shaped in part by who I was then. This is the Students’ Union, where I spent a good deal of time, either in the Taf or the club at the other end. What was it called? Terminal 360? 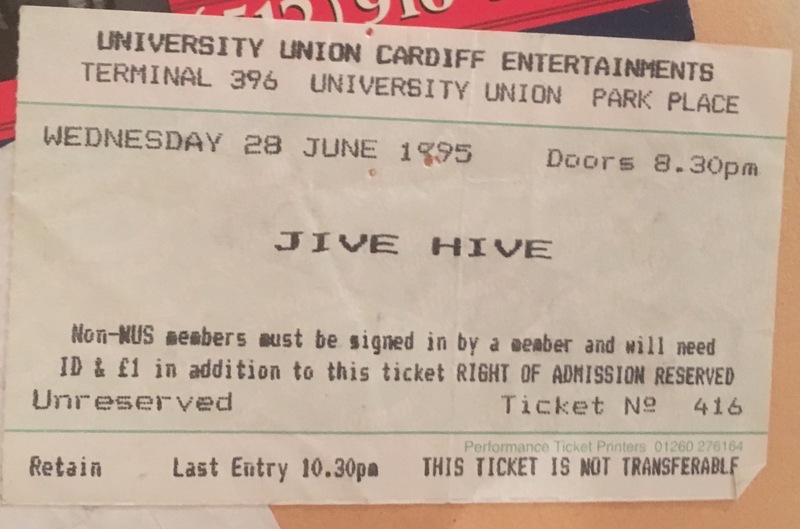 Every Wednesday was Jive Hive night. All the best from the 60s, 70s and 80s. Cheesy dancing galore. There was also a smaller venue downstairs where they had acid jazz nights that were pretty cool. That was also home to The Great Hall, where I saw The Prodigy in my first year. There was not a single branch of Kentucky Fried Chicken in Wales at the time. This is way before I went vegetarian and I did love a good Zinger burger. I remember the hype when a branch opened up inside a nightclub. I swear, a couple of times I paid to get into the club just so I could get KFC and then go home. This is the place: Zeus. Home of the first KFC in Wales, apparently. Most of my lectures happened here, in the Humanities buildings (15 and 16). The library is there too (18). they had computers and everything. I remember people talking about something called the Internet although I never got involved in any of that. You can see Colum Road there too. That was where I lived in the second and third years. I loved Cardiff. The city was a lovely place with some great shops, bars and venues. I never got bored of living there. Part of me wishes I’d had a car so I could have explored a little bit more. Beyond getting the train to Penarth a few times (and one strange trip to Barry Island), I stayed fairly central. It would have been nice to spend some more time around the Brecons. A much better place, that sadly no longer exists, was The Philharmonic down by Central Station. We had some fantastic nights in there. It was right opposite Chip Alley too, home of the great doner kebab with mint sauce! Oh, the culinary delights that I enjoyed. There I am. Check out those curtains! The last year I was in Cardiff went so quickly. I really missed it at the end. It was hard to leave. At the end of the three years, you have to go out into the big, wide world. As much as I enjoyed English Literature, it was difficult to relate it to any career I wanted. I had no idea what I wanted to do. I had some ideas about being a screenwriter but I think that was only because I thought I’d get onto an MA course and be able to stay in education, postponing the inevitable. It was only years later, when I signed up for the PGCE, that I saw Uni as a proper preparation for a career. That’s ok. A Bachelor’s degree is more about your ability to stick at something, and I did read some cool books. Thanks for reading. If you enjoyed this and you want to check out some of my other posts in the Blogging from A to Z Challenge, follow the links below.